individuals. 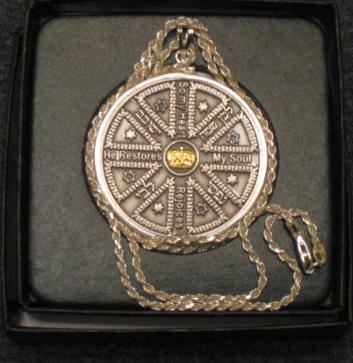 Our Coins are high quality spiritual statements designed to capture the imagination and reflect the devotion of their owner. "I Am But Dust And Ashes" "For My sake Was The World Created"
graduations, seminars, retreats, and confirmations. $18.00 per set. 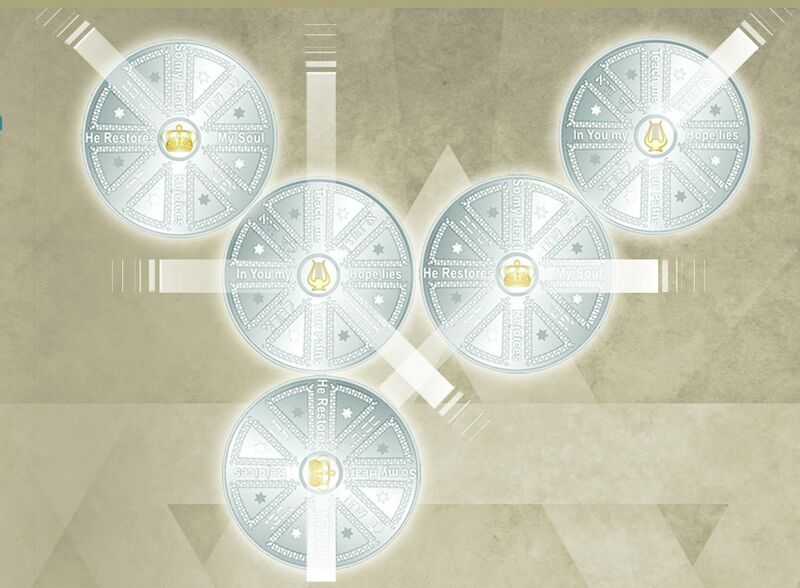 There are two coins in each set, as the parable describes. Quantity discounts automatically applied. At least 10% of the profits from the sale of all SoulCoins are distributed to feed the hungry, heal the sick, and help the needy. coin only in a hard plastic coin case in a gift box. 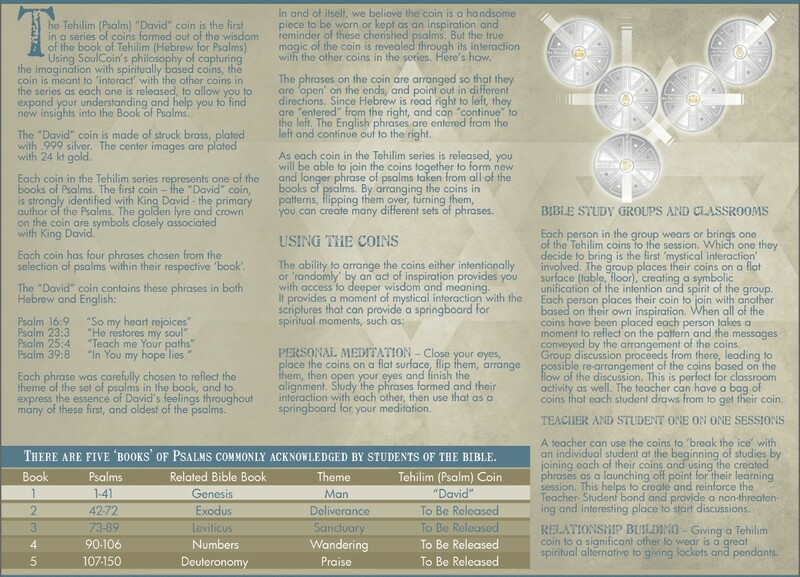 Every coin order comes with a full color brochure explaining the coin and how to use it. 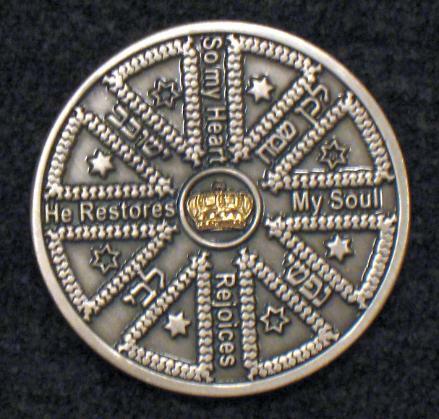 The Tehilim (Psalms) Series Coin #1-"David"
Psalm 16:9 "So my Heart Rejoices"
Psalm 23:3 "He Restores My Soul"
Psalm 25:4 "Teach me Your Paths"
Psalm 39:8 "In You my Hope lies"
The coin comes in a gift box as shown. "David" coin, inspired by faith and brought to you with care. with each other, new phrases are created to increase your inspiration.